Over the past couple of years, there has been a realignment by aircraft manufacturers of the types of business jets that they are building. Small jets have seen their sales/deliveries decrease significantly over the past couple of years. In 2018, the Eclipse 550 had zero deliveries, and the Embraer Phenom 100 series only had 11. The new Cirrus Vision SF50 jet, on the other hand, had 63 deliveries in 2018. In comparison, bigger jets like the HondaJet, Cessna Citation M2, and the Phenom 300 had significantly more deliveries as they all had over 34 delivers for 2018 according to the General Aviation Manufacturers Association (GAMA). 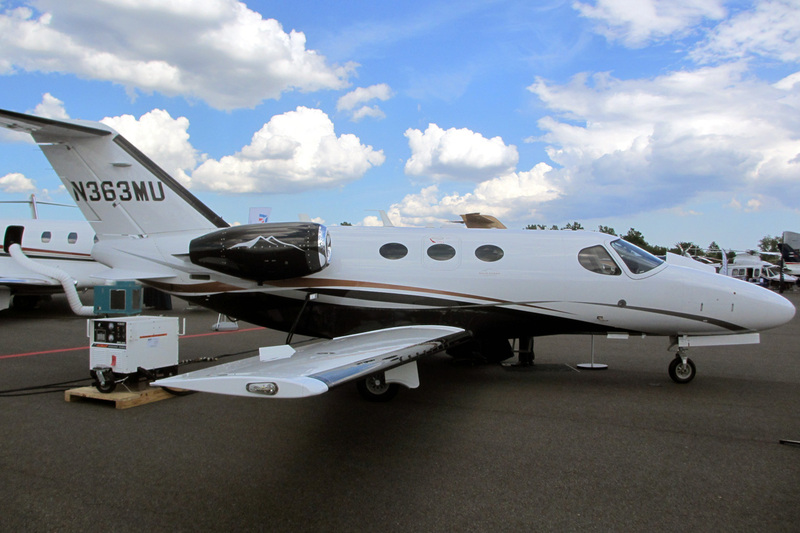 Small Jets became popular in 2005 and Cessna, Embraer, and Eclipse had aircraft deliveries exceeding 100 aircraft for at least one year from 2008 to 2010. The market has changed since then as larger jets have taken over and are now more popular. In 2017, Cessna ended production of the Citation Mustang light jet. The Eclipse 550 very light jet has seen its delivery count drop to zero and the Phenom 100 is significantly down from its peak of 100 aircraft delivered in 2010. What does the light jet decline mean for the market and the economy in general? Buyers for entry-level jet have diminished, while purchasers of higher end jets remain in the market. Recent economic conditions are likely not to improve the situation as global growth is slowing. The slowdown in light jet purchases may have been a leading indicator of the current downturn in the economy. Will the weakness in entry-level jets fly over to larger aircraft? In the short term, there does not seem to be a slowdown in large jets on the horizon; however, this could change over the long run. The light jet era has ended, and there are no signs that deliveries will return to 2000s levels anytime soon. Above Cessna Citation Mustang High Sierra Edition photo by Jetrequest.com on Wikimedia Commons. Photo released under a Creative Commons License.